Japan is more than just cherry blossoms and sushi. In this distinct island nation where the old and new coexist, there are plenty of ways to appreciate and understand the beauty of its diversity. From the majestic Mt. Fuji to the a very relaxing sento (public bath) experience; from tasting the freshest, most perfectly-cut sashimi to sipping the most sensual tea; and from walking through the bustling city of Tokyo to the serene sinto shrines of Kyoto, this country never fails to amaze even the most discriminating travelers. The country is known to be influential in the fields of design, technology, fashion, and cuisines. But despite its passion for latest technological advancements (like bullet trains, robots, and high-tech toilets), Japan is a great keeper of its ancient customs and traditions, preserving its unique and influential culture that draw us back to thousands of years. And when it comes to character, Japanese people are among the world’s most warm and welcoming. In their tradition, the customer is considered as god in their country, hence, excellent service is always given. Mt. Fuji is Japan’s tallest mountain and one of its sought-after natural attractions located 62 miles from its capital city, Tokyo. Standing at 12,380 ft (3,776 meters), this renowned UNESCO World Heritage is admired by many because of its perfectly proportioned volcanic cone, brilliantly covered in snow. Together with my wife, we hopped on a cable car that led us to a viewing deck where we had a closer look of this famous mountain. The experience was surreal; we found ourselves staring at one of the beautiful mountain landscapes of the world. Japan is known for their Shinto Shrines – a worship place where Japanese people offer their prayers to Shinto gods and to the Buddha. 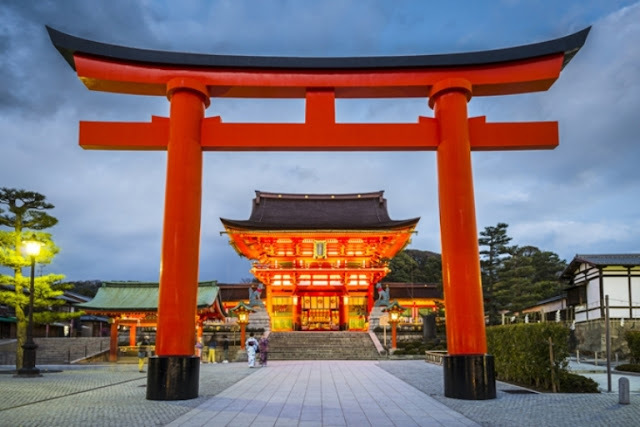 Of all its many Shinto shrines, the Fushimi Inari is one of the most significant and famous. It is dedicated for the Shinto god of Rice, Inari. The shrine is well-known for its thousands of vermilion toii gates that add character to the place, and trails that lead into wonderful, wooded forest of the sacred Mount Inari. Here you will notice several fox statues scattered across the shrine grounds. It said that foxes are Inari’s messengers. Being a country full of natural wonders, it is no wonder that Japan is also home to a vast number of hot springs, locally known as onsen. In Hakone, where plenty of hot springs are spotted, you can explore the fascinating Owajudani, if translated, is the Great Boiling Valley. True to its name, the site can be hot due to its volcano and active sulphur vents. This popular tourist attraction offers scenic view of a valley, where picturesque yet intense sites of volcanic activities and steaming springs are seen and experienced. One of Tokyo’s most popular Buddhist temples is found in the area of Asakusa, literally know as ‘low city’. Built in 7th century, this colorful temple is the oldest in Tokyo and is one of Japan’s iconic landmarks. The temple is accessed through the busy Nakamase Shopping Street where assortments of traditional, local snacks and tourist souvenirs for centuries are sold by over 90 shops. 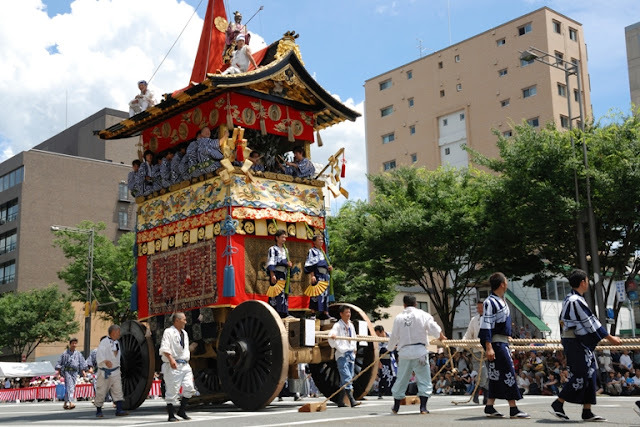 As for festivals, Japan has plenty of festivities that both locals and tourists would enjoy. 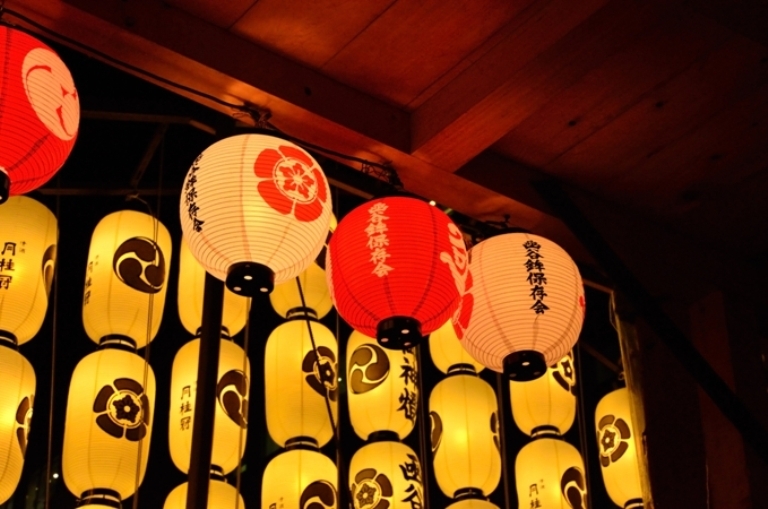 One of it is the country’s most famous and also the longest, Gion Festival. It’s a month long celebration held every month of July in Gion, Kyoto. Many locals, mostly dressed in their traditional yukata, flock the streets of Gion along with tourists to witness the festival’s colorful and lively parade. The festival’s main highlights are the Yamaboko Junk parades, which will be celebrated on July 17th and 24th this year. Here you can witness stunning geishas riding on huge, beautifully decorated floats which are pushed and pulled throughout the streets by local men clothed in traditional Japanese garments. 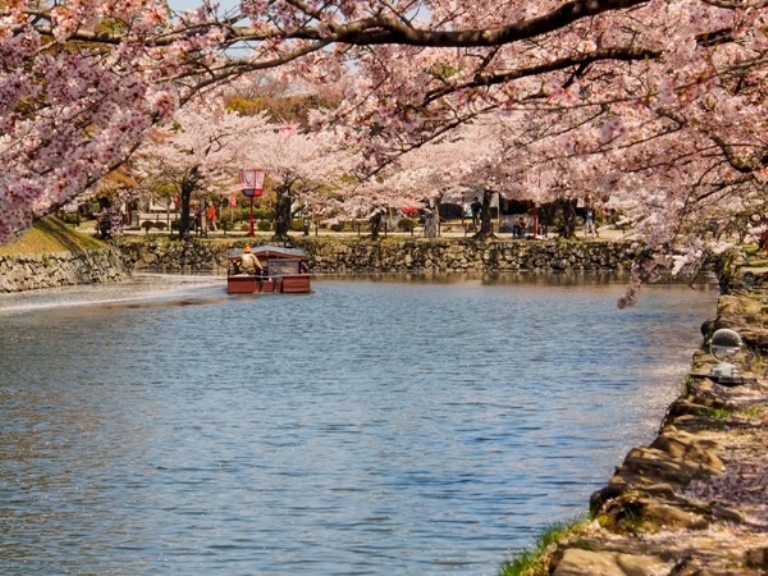 Do you ever wonder why Japanese is so into cherry blossoms? Its fragile yet very lovely charm has a special place in their hearts. When they bloom in April, it heralds the end of bitter winter and the start of the pleasant spring. Not only does it symbolize a beautiful start but also the warm welcome that awaits in their surroundings. Visiting Japan creates a lasting impression on all travelers since you get to know their culture, traits, values and work ethics. You get to see that almost all their products are Japan made and their food is something to savor. They give importance and excellence in what they do, they respect each other with utmost courtesy and they rely on each other for their well being. 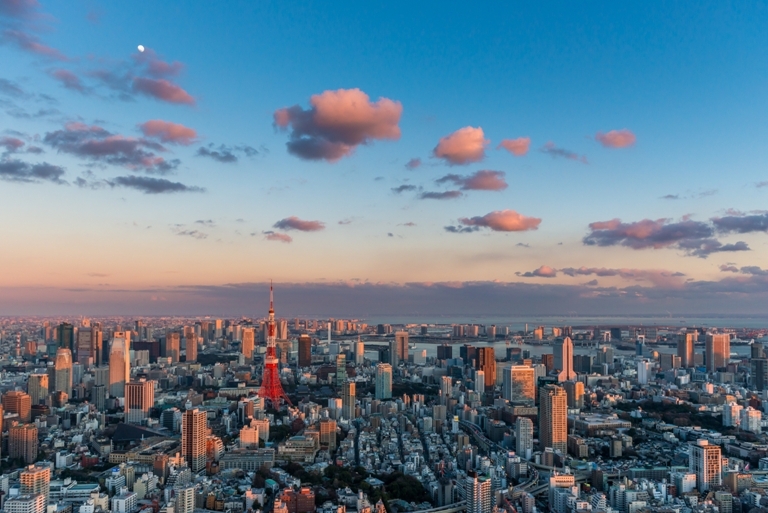 All these and more make Japan a destination worthy to be included in everyone's travel bucket list. 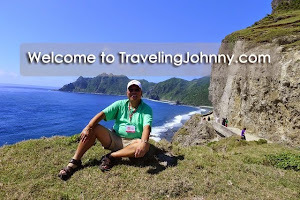 Until next time, I'm your friendly global traveler, Johnny, inspiring you to live a happier life by traveling more.